Keane Gleeson is getting married in April. That's a bad time to be missing a paycheck — even worse when you know that, as a contractor, you won't receive any back pay at all once the record-setting shutdown finally ends. Gleeson said he never would have imagined this situation when he joined the EPA. CINCINNATI — Keane Gleeson grabs his coffee and his laptop and settles in for a day of job hunting. That’s been the 25-year-old’s routine since the government shutdown began nearly four weeks ago. The 26-day lapse in federal funding spelled double trouble for the EPA researcher: As government employee, he can’t go to work. As a contractor, he can’t collect back pay when the government reopens. “I've lost now maybe a couple months’ rent worth of paychecks, and I'm not going to be able to get that money back,” he said. "This is pretty much the worst-case scenario that could have happened in this job." It gets worse. Gleeson and his fiancée have an extra financial burden – they’re planning a spring wedding. "We're getting married in April, so we're spending money on this wedding as well, so it's not a good time to be losing income,” Gleeson said. "It's very stressful." 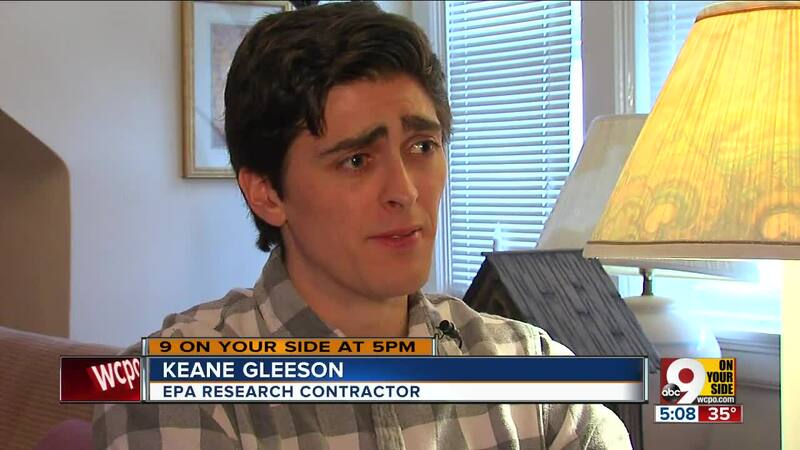 Gleeson lives with his fiancée, who is able to pay the bills for now. However, he says being out of work so long has forced him to look for odd jobs and extra work. "It's kind of depressing," he said. "It's a little — I don't know, sometimes it feels helpless because it's really completely out of my control." Gleeson said he's getting by, but he wants lawmakers in Washington to come to an agreement. "It's very frustrating that nobody is willing to compromise," he said. If the shutdown isn't over soon, he's hoping he can find a new job. "Currently we're managing, but if this goes on much longer and I don't find a different source of income, it will make things tough," Gleeson said.